Hi there, I have made a step by step video demo of how to apply make up perfect for your New Year's Eve Party. 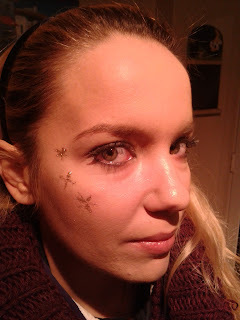 It gives you tips of how to apply glitter without ending up with glitter all over your face! I would like to take this oportunity to wish you all a very MERRY CHRISTMAS - I hope that all your dreams come true in 2012. 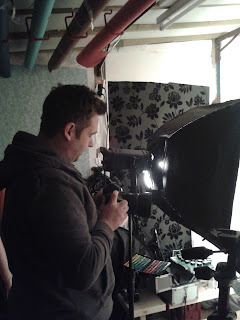 Yesterday I trotted off to Chris Giles Photography Studio with my Model, Dora Giani to make some mini video's to demonstrate to the general public how to create make up looks. Make up laid out ready to start, with those all important cups of tea. Checking the Lighting in the studio - Dora amused by all the fuss! Just a few of the make up looks I have created a make up demo for you to recreate. 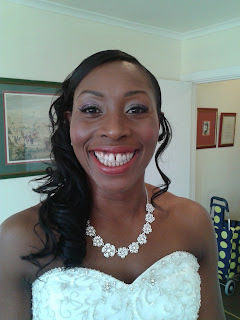 Last weekend's wedding was a very last minute one - In fact, the head bridesmaid contacted me only two weeks before the wedding and asked me to do make up for the bride and 3 bridesmaids - no trial needed! Therefore, I turned up with my entire make up kit, ready for a Christmas wedding, and boy did I get one! 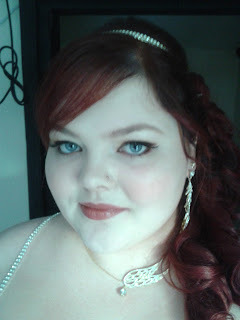 - The bride wore Red and seeing as all the girls were young, they were happy to experiment with make up and use as much colour as possible! After awaking at 4.30am and leaving at 5am, I arrived at Selsdon Park Hotel in Croydon for a big traditional wedding. We started getting ready with hair and make up at 6am, 1 bride and 6 bridesmaids later, off they went at 12pm to get married - all looking wonderful! The bride had already had a trial at my house so I arrived knowing exactly what she wanted - as far as her bridesmaids were concerned, the bride asked me to do 'whatever they asked' and boy did they ask! - Each bridesmaid wanted to bring out their individual style and personality resulting in them being extremely happy on the day, and me having so much fun !